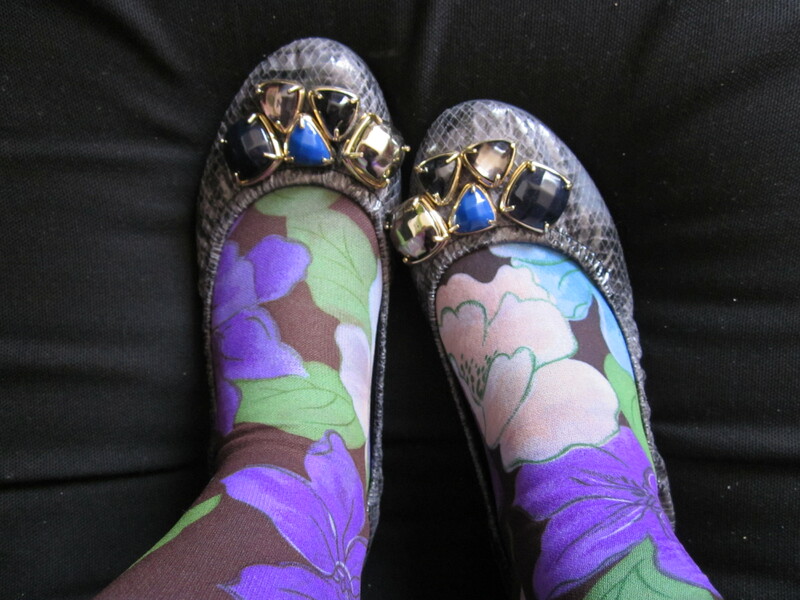 A rather extravagant sock-shoe combi for a Sunday – to mark my last post at Vie Hebdomadaires! As I always say, there’s nothing like botanical nylon and bejewelled snakeskin to celebrate the culmination of a great collaboration. With Saoirse Ronan (who is quite frankly brill) and Cate Blanchett, who was scary. Did you ever watch a movie and get really into it and then the bad guy almost gets the good guy and you realise your own mortality and feel a little bit seasick? No? This was one scary lady. I want those gloves, though. Today I rose to the strains of drunken men singing Lang zal ze leven under my window, and staggering into the road. I fear they had been there since the previous evening, especially as the pub next door was still open. It was thus in a rather odd state of mind I collected my instruments and headed to the village of Boxtel to perform a concert in their church! It was the final concert of the week, so I can finally relax a bit, and paint my nails a crazy colour. I played with my recorder-panflute duo nasa catchy name… rubbish for googling. This is us: you can click on the photo because it’s a link! 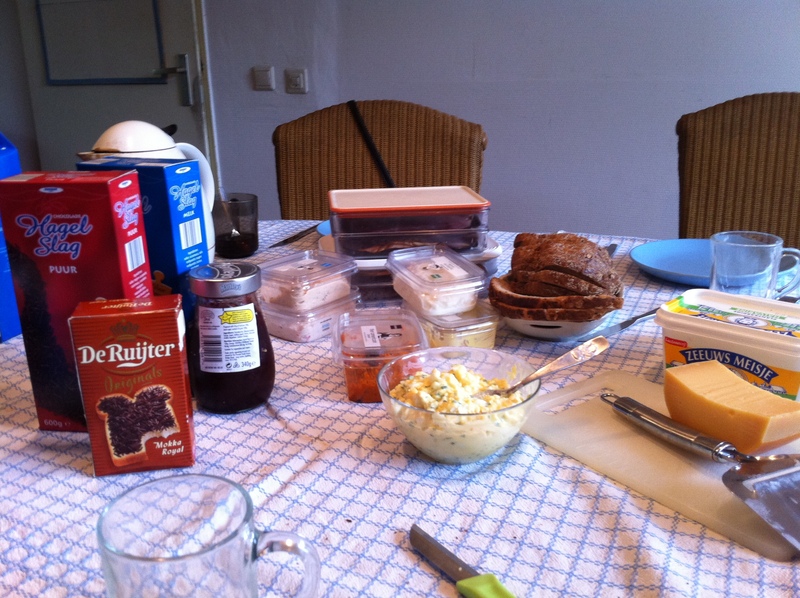 A real proper Dutch meal, courtesy of Nadja’s lovely parents. We had the whole shebang: Gouda cheese, egg salad, chocolate sprinkles (hagelslag), filet americain, and four different colours of mushy protein product in mayonnaise. The bread+topping possibilities are literally endless! ENDLESS! Dutch food never fails to amaze me. Chocolate on bread for brekkie? mayonnaise on bread for lunch? Deep fried ragout balls in bread for dinner? I have acclimatised rather well I can even stomach a patatje oorloog or a kapsalon – maybe but I admit I have to import my own muesli from Blighty. My kilo of Alpen just ran out, so I’m having to go back to Albert Heijn cereal. See the problems I face? O, cruel world! 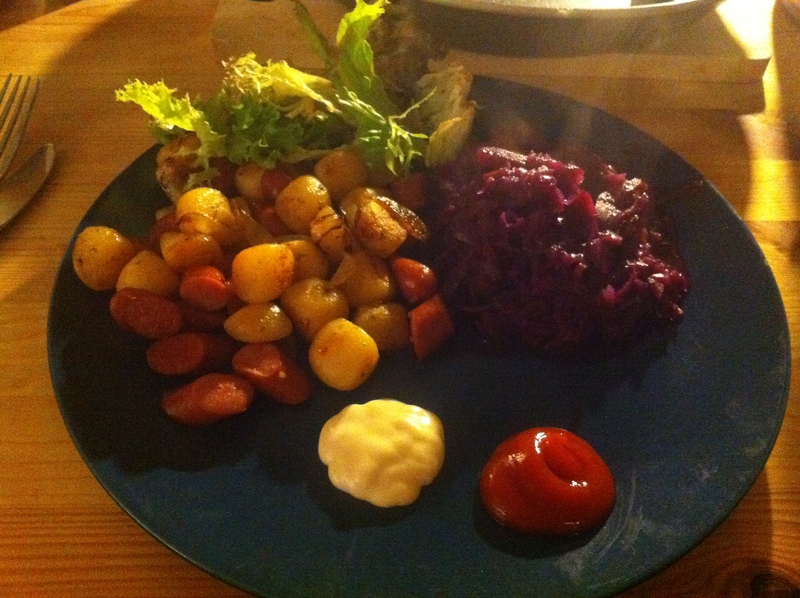 I did assemble a rather fine dinner this evening, however, from very Nederlands rode kool (cabbage), krieltjes (little herby potatoes) and knackworst (canned sausage). Note the obligatory squirt of English salad cream. Now I’m off for a well-earned lazy, lazy, lazy Sunday evening. And I can’t wait to read the new Vie Hebdomadaires blogger, starting from tomorrow! I had wondered if I would spontaneously combust, adding the challenge of continuous blogging to an already insane week, but you know what? It’s been fun, guys. And because I love self promotion: ! To read my ‘normal’ blog, go to http://sockmyshoe.blogspot.com HURRAH! To read about my musicing, go to http://www.sarahjeffery.com HURRAH! And with that, I bid you farewell! A great big thanks to Varun for his blogging initiative, and to you all for voting for moi! Dag, en tot ziens!